We are engaged in offering you a complete choice of products which include Office Lobby Furniture such as Designer Office Lobby Furniture, Modern Office Lobby Furniture and Office Lobby Table. These are made up of high quality material and are offered at reasonable rates. 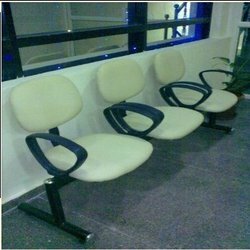 We offer these chairs in various specifications to the clients as per their precise demands and requirements.This is a three seater visitor chiars with cushion.One can avail these products from us at industry leading prices. We are engaged in offering sofa which are the best in quality and cater to the needs of various. We can customize them in various sizes and shapes as per the client's requirements, which are not just innovative but also fulfill the requirements of the office. 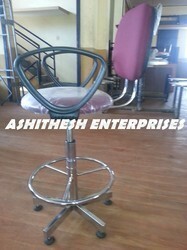 Our customers can avail Stylish Cafe Chair from us. The offered range of stylish cafe chair is made utilizing highly modern machines and sophisticated techniques in complete tandem with the industry laid norms. Along with this, the offered range is available in different customized specifications and forms to comprehend and meet the diverse requirements of esteemed customers. 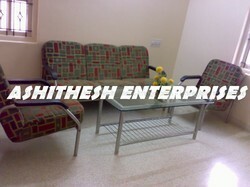 We are a reliable manufacturer of Designer Office Lobby Furniture. Our team of skilled and trained professionals test our furniture for various quality parameters. We customize our products as per the clients requirements and offer these products at highly reasonable rates to our clients. Looking for Office Lobby Furniture ?